It’s a Christmas Party Collection requested by THIS Pretty Lady! I’m tell ya.. I’ve said it once and I’ll say it again… She always has the most fabulous ideas. This collection even has a Banner to go with it! You could use it as a whole OR break it down for your individual Holiday needs! No matter how you use it, I hope you brings you LOADS of JOY! Silent night, holy night..All is calm, all is bright..Round yon Virgin Mother and Child..Holy Infant so tender and mild..Sleep in heavenly peace..Sleep in heavenly peace..Silent night, holy night!..Shepherds quake at the sight..Glories stream from heaven afar..Heavenly hosts sing Alleluia!..Christ, the Saviour is born..Christ, the Saviour is born! WOW my friend!!!! what a fabulous and wonderful gift to us all! you spoil us soooooo much! you have created such whimsy and pure delight that we can use over and over and over again for so years to come!!! sending you tons of holiday hugs and much love!!! Thank you so much Keren! I love the color combo! I hope you have a very Merry Christmas and an incredibly blessed 2012!!! Adorable!!! Just too cute for words. :) Happy Holidays Keren! You did a fabulous job, Keren! It is beautiful! Have a wonderful Christmas! Thanks Keren! You are the greatest xoxoxo Love all the aqua and pink! Thank you for sharing these adorable images. 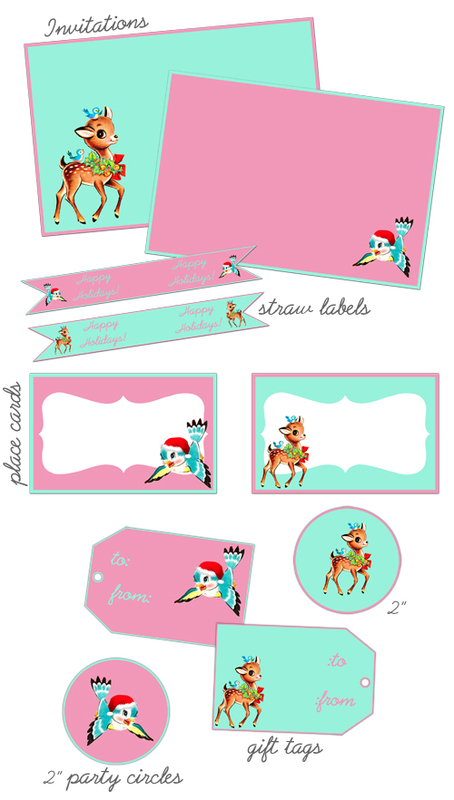 I love the colors and think I’ll use them on Christmas tags for my nieces and nephews. I came over to link on your Wed. meme…I’ll try to come back in the morning. I’m following the blog to not miss any more cute stuff.